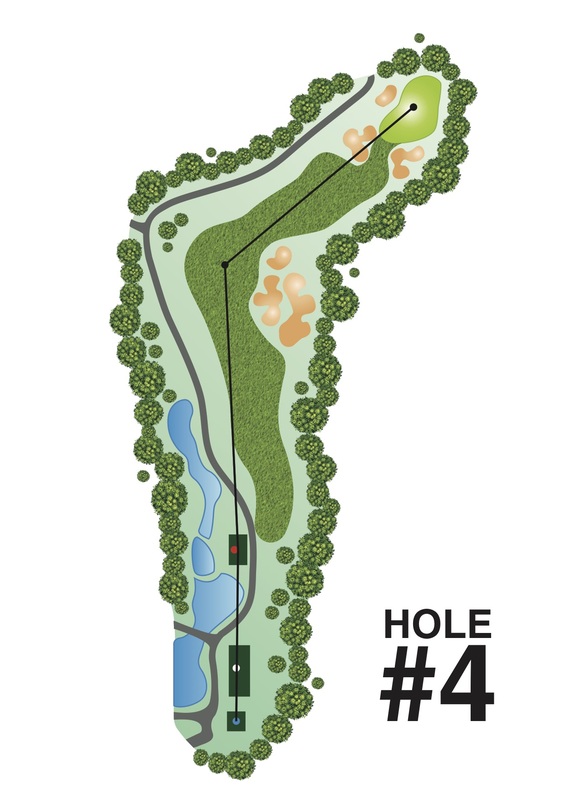 This sharply right dogleg par 4 hole may be dramatically shortened by clearing the large dominant group of bunkers that guard the inner side of the dogleg but that is possible for only the very longest hitters. The better way for most players to lessen their approach shot distance is to direct their drive as close as possible to the edge of the bunkers. The safer shot is to play a controlled draw starting on the line of the left edge of the bunkers and intended to finish mid-fairway. From there, a well-executed short to mid-iron approach to the green should enable a par or birdie to be achieved. Swales and ridges in the undulating green will provide a severe test for long putts.